Detroit is officially broke. But the Motor City has been unofficially broke for decades. That is exactly why some entrepreneurs go there. Governor Rick Snyder announced on Thursday that he authorized Detroit to file for chapter 9 bankruptcy protection. Snyder called it a “difficult and painful step,” but he did not see any other way to get the city out from under the $18 billion in debt it's facing. Today, Detroit has 700,000 residents, far fewer than the almost 1 million people who called the Motor City home more than 90 years ago in 1920 and half the 1.6 million people who lived there in 1940, according to the U.S. Census Bureau. As the population plummeted, tax revenues dwindled and city coffers slowly shriveled. As Snyder says, the bankruptcy has been 60 years coming. Detroiters have been living with sub-par public services for years. Fire and medical staff are stretched thin, and street lights stay out for too long. Governor Snyder has said that the bankruptcy filing will allow the city to spend more money on public services because less of its money will be hurdled toward paying interest on debt. Over the next 10 years, $1.25 billion will be spent improving police and fire protection, trash pickup and street lighting, says Snyder. Recent investment in Detroit's downtown attracts young talent. For example, the M@dison Building is a 1917 building that went through a $12 million renovation and now serves as a startup hub. It’s cheap. For now. “The burn rate in Michigan is a fraction of what it is in Boston, New York, Silicon Valley, Chicago and frankly many other locations,” says Mike Finney, the president and chief executive of the Michigan Economic Development Corporation, a public-private partnership advocating for business in the state. And it may not be this cheap forever. “This is a ground-floor opportunity for individuals who want to live, work and play, and find opportunities to do it at a cost that you will probably never see again,” says Finney. The population exodus that Detroit has suffered means a lot of office space was left vacant, and empty buildings are being rehabilitated into working space, says Finney. For example, Dan Gilbert, the chairman and founder of Quicken Loans Inc. and majority owner of the NBA’s Cleveland Cavaliers, has bought more than 30 buildings in downtown Detroit. “Those buildings are all being rehabbed and occupied by businesses at a rate that is just staggering,” says Finney. Detroit’s airwaves aren’t glutted. “You don’t have the media outlets getting pitched every minute of every day by new startup ideas and new startups to cover,” says Cohen. “It’s a nice platform to get national press.” There’s also plenty of local press, including the Detroit News and Crain’s Detroit Business. There is a growing sense of new, young energy with a frontier spirit. For the first time in more than three decades, young people are staying in Michigan. “Young people left forever, and now they are staying,” says Cohen. When Cohen moved into an apartment in downtown Detroit in Feb. 2011, he had the upper hand in negotiating his rent. Now, he says, there are waiting lists at downtown apartment buildings. That's partly due to limited supply. People haven’t historically wanted to live in downtown Detroit. Lately, innovative companies are increasingly interested in investing in the city center over the suburbs, and they are attracting the younger set. Michigan has always been a manufacturing hub. “Michigan does have a tremendous legacy of entrepreneurial activity,” says Finney, ticking off icons Henry Ford, W.K. Kellogg and Charles Stewart Mott. The state has a history of, and infrastructure for, making things, says Rick DeVos, CEO of Grand Rapids, Mich.-based Start Garden, a seed fund that distributes $5,000 loans to startups. "The whole state is rediscovering its entrepreneurial muscles," says DeVos. "A hundred years ago, Detroit was the Silicon Valley of the world." The startup community is relatively small. 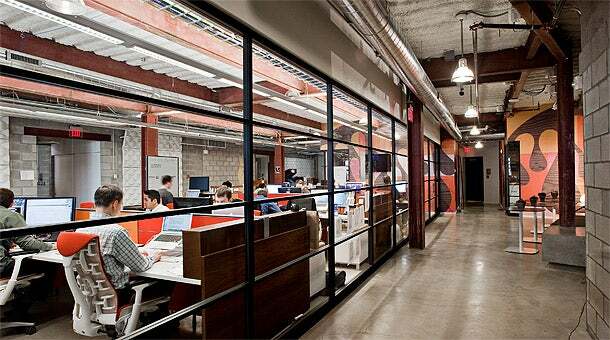 The number of startups in Detroit is small compared to cities like New York or San Francisco. That means less competition. “You have the ear of first customers potentially,” says Cohen.